Every time we get out the Whirly Pop, it’s instant excitement and happy times for me. 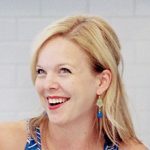 Ben commented to me the other day that he has never met someone who likes popcorn as much as I do. He may be right. I reeeeally like popcorn. Even so, I don’t recall ever eating a popcorn ball in my life before now. If have it was not a memorable experience. I do have vague memories of getting one each Halloween as a kid back in the days when some people still gave out homemade treats (though of course we never ate them for fear of eating a razor blade or poison or something…) What I always knew as a traditional popcorn ball conjured up thoughts of rice cakes and I was never tempted to try one. That all changed recently when I saw this gem of a treat. People, we are talking about a giant bowl of popcorn tossed with the same coating that you normally use for rice krispie treats, shaped into balls and decorated with sprinkles. I made all sorts of giddy exclamations when I saw this recipe. Thank goodness no one was around to hear all of that. 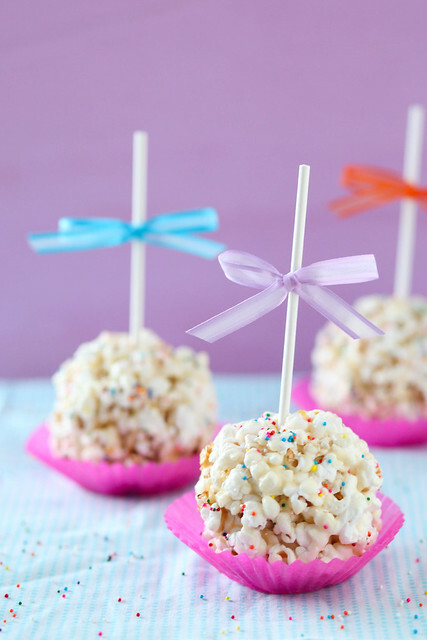 These are just as easy to make as rice krispie treats and they look cute as can be. Serve them on sticks or not, whatever you prefer. They are easily dressed up for any holiday with seasonal sprinkles. Part crunchy, part chewy, and very irresistible. The only bad thing is that they might just be too easy to make. Melt the butter in a saucepan over medium heat. Stir in the marshmallows, vanilla and salt. Heat, stirring constantly, until the marshmallows are completely melted and the mixture is smooth. Place the popcorn in a large mixing bowl. Pour the marshmallow mixture over the top. Toss gently to combine and coat the popcorn. Allow to cool just slightly, then form into balls with well buttered hands. 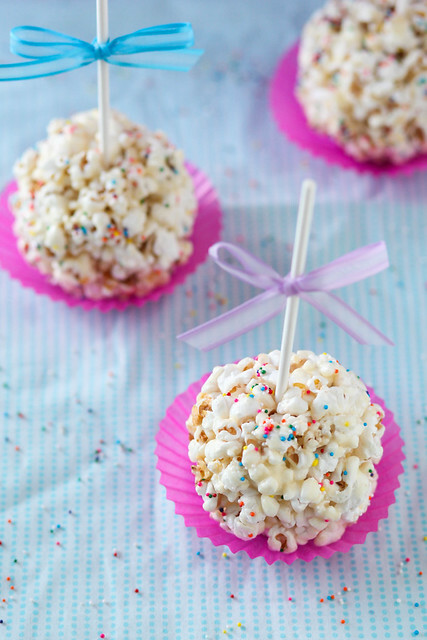 Place on sheets of wax paper, sprinkle with nonpareils, and allow to set. Once firm, insert a stick into each popcorn ball if desired.